The following guide is a complete walkthrough to installing or updating to the latest version of OS X. It requires no experience and all of the necessary installation and post-installation tools are available on tonymacx86.com. 1. Register here at tonymacx86.com. If you don't have a user account, create one! The Application Install OS X Mavericks will appear in /Applications. 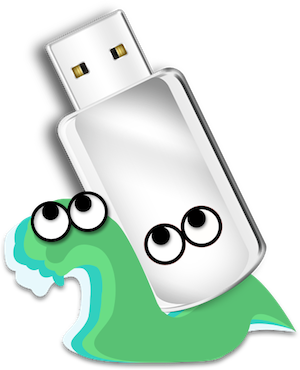 UniBeast will now create the bootable USB drive. The process will only take about 10-15 minutes, depending on system and drive speed, but will show hours. This is normal. Do not unplug or stop during this time. If you're installing on a recommended CustoMac desktop with AMI UEFI, the options are simple. For other systems make sure to set your BIOS or UEFI to Optimized Defaults, and your hard drive to AHCI mode. Award BIOS settings are listed here. For best results with the latest 8-series motherboards and Haswell CPUs, remove all but 1 stick of RAM for the installation process. You can put back extra RAM sticks after post-installation is finished. If you have trouble reaching the installer, type -x at the Boot screen as shown below. You can type the boot flags GraphicsEnabler=Yes, maxmem=4096, PCIRootUID=1, PCIRootUID=0, and npci=0x2000 by themselves or together in order to solve boot issues for older graphics cards and machines. Type -v to bypass the Apple boot screen and enter verbose startup mode. For further explanations of boot flags, check out the post here. Also, if you need help with what to use for your graphics card, see the post here. b. Highlight your target hard drive for the Mavericks installation in left column. 7. When the installer asks you where to install, choose Mavericks, or your existing install. MultiBeast is an all-in-one post-installation tool designed to enable boot from hard drive, and install support for Audio, Network, and Graphics. In addition it includes System Utilities to repair permissions and a collection of drivers and config files. The installation is complete, but the drive isn't bootable yet. Boot from the USB again, this time choosing Mavericks. 4. At the Chimera Boot Screen, choose your new Mavericks installation. Yay! You now have a fully updated bootable version of OS X Mavericks on your CustoMac! And a super handy USB rescue drive. It's easy to get frustrated, but don't give up! If you get stuck, there are many users with similar hardware in the tonymacx86 Forum to provide support. Special thanks to everyone in the community, and our moderators for testing! If you've had success using this guide, consider a contribution to help keep the sites going. We're constantly updating and tweaking our tools to help you. Good luck and have fun! Nice. I will do the update method and report any issues. Wow this looks awesome guys great job! Great, does it work with I7 4930k. Does the kernel needs to be patched? I'm Downloading maverick from the app store at the moment. I'm trying to install maverick on Asus N76. Will this work okay with a custom Fusion Drive?